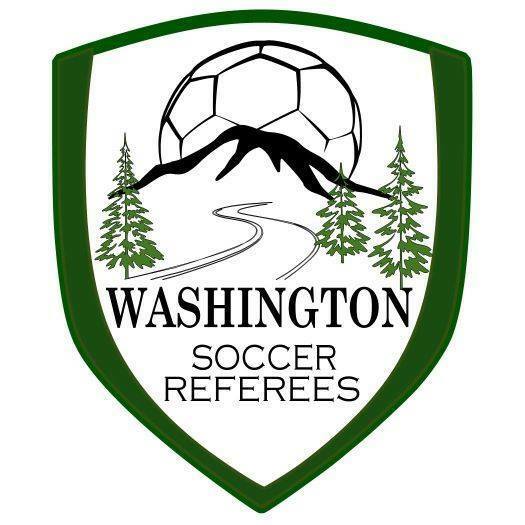 The Evergreen Premier League’s 2019 season opens play on Saturday, May 4th with four games hosted by the defending champs, Washington Premier FC, the Oly Town Artesians, Oly-Pen Force and Yakima United. Opening weekend continues on Sunday, May 5th with home openers for Bellingham United and the Vancouver Victory. It is the first weekendContinue reading "EPLWA Launches 2019 Season Schedule"
BELLINGHAM, Wash. – The Evergreen Premier League is excited to announce that Pacific Northwest Soccer Club has been admitted as the 10th member of the EPLWA. The Tukwila, Washington based club will begin play for the 2019 season and will be based out of Starfire Sports. The team will train at Starfire but aContinue reading "PacNW Becomes Tenth Evergreen Premier League Member"
The 2018 Evergreen Premier League Champions – Washington Premier FC Source: AN EPLWA CROWN FOR WPFC After playing second fiddle for the past four years, the local boys from Washington Premier FC finally hoisted the Evergreen Premier League championship trophy on Sunday, July 29. Playing under sun-drenched skies and in front of an overflow crowdContinue reading "Tacoma Weekly: An EPLWA crown for WPFC"
PUYALLUP, WA— Washington Premier FC ran away with the 2018 Evergreen Premier League Trophy thanks to a comprehensive 5-1 win over Seattle Stars FC that concluded the EPLWA’s first-ever post season. Red hot striker Brandon Madsen repeated his hat trick feat of the semifinals with another 3 goals in the Final to lead the winners.Continue reading "Washington Premier FC wins 2018 EPLWA Championship"
Brandon Madsen (WPFC) scored all 3 goals as his side advanced to the EPLWA Final. Madsen has been named EPLWA POTW Offense for the third time this season. Kees Westra locked down the left half of the pitch for the Stars in their win in the semis. He also pushed up to score one ofContinue reading "#HometownSoccer Players of the Week for 2018 Semis: Madsen, Westra"
Washington Premier FC team captain Micah Wenzel gets some hang time. Wenzel was Source: WASHINGTON PREMIER FC TO PLAY FOR EPLWA TROPHY It was a sun-soaked evening at the Washington Premier Complex in Puyallup, and somehow, the play on the main field was even hotter than what the thermometer was claiming. On Sunday, July 22,Continue reading "WASHINGTON PREMIER FC TO PLAY FOR EPLWA TROPHY"
The Seattle Stars beat the Spokane Shadow 4-1 on Saturday and Washington Premier beat Bellingham United 3-2 on Sunday as both sides advance to the first-ever EPLWA Championship Final to be hosted the last weekend in July. Seattle Stars 4-1 Spokane Shadow KENT, WA— The Seattle Stars will defend their 2017 Evergreen Premier League titleContinue reading "Washington Premier will host Seattle Stars in first-ever EPLWA Championship Final"
The Spokane Shadow needed 2 points to take the Columbia Division and qualify for the EPLWA playoffs. They got them on Saturday July 14 at rival Yakima United with a 3-1 win fueled by two standout performances. Jake Levine (Northwest Nazarene) scored a hat trick (all 3 Spokane goals) and Luke Livingston (Nebraska Wesleyan) shut down theContinue reading "#HometownSoccer Players of the Week: Shadow’s Levine, Livingston"
The Evergreen Premier League wrapped up its 2018 regular season in high heat around the state of Washington on July 14-15. Next the heat is on as the first ever post season begins with semifinal battles. July 21-22 weekend Spokane will play at Seattle and Bellingham will play at Washington Premier. Match details coming soon.Continue reading "EPLWA regular season concludes in the heat; playoffs next"
The Evergreen Premier League today announces the honorees for the previous week of play with the #HometownSoccer Players of the Week awards for July 8, 2018. Brandon Madsen of Washington Premier (offense) and Logan Jones of Washington Premier (defense) were voted by league head coaches and general managers as worthy of note for their standout contributions to their sides. Washington PremierContinue reading "#HometownSoccer Players of the Week: Washington Premier’s Madsen, Jones"
The Evergreen Premier League (EPLWA) regular season has one week to go and one playoff spot to decide after the results from last weekend. Washington Premier FC 4-1 Oly Town FC PUYALLUP, WA— WPFC clinched the Cascade Division title and the outright best points total in the EPLWA on Sunday as they completed aContinue reading "3 of 4 post season spots secured as EPLWA enters final week of regular season"
The Evergreen Premier League today announces the honorees for the previous week of play with the #HometownSoccer Players of the Week awards for July 1, 2018. Ivan Colin of Bellingham United (offense) and Bryce Logan of Bellingham United (defense) were voted by league head coaches and general managers as worthy of note for their standout contributions to their sides. Bellingham United haveContinue reading "#HometownSoccer Players of the Week: Bellingham’s Colin, Logan"
Four matches were played in the Evergreen Premier League over the June 30-July 1 weekend. The league’s 5th season is moving ever closer to the first post season and playoffs. Tri-Cities Alliance 0-5 Bellingham United KENNEWICK, WA— Bellingham United (4-3-1) moved into first place in the wild card race with a 5-0 blowout win atContinue reading "EPLWA Scoreboard: Results for July 1st weekend"
The Evergreen Premier League today announces the honorees for the previous week of play with the #HometownSoccer Players of the Week awards for June 24, 2018. Brandon Madsen of Washington Premier FC (offense) and Miguel Beltran of Seattle Stars FC (defense) were voted by league head coaches and general managers as worthy of note for their standout contributions to their sides.Continue reading "#HometownSoccer Players of the Week: Brandon Madsen, Miguel Beltran"
Four matches were played in the Evergreen Premier League over the June 23-24 weekend. The results continued the momentum for three hot sides. Vancouver Victory 0-5 Seattle Stars FC VANCOUVER, WA— The surging Seattle Stars (6-2-0) hand the Vancouver Victory (3-3-0) their worst-ever home defeat in 5 seasons on Sunday at Harmony Sports Complex. TheContinue reading "EPLWA Scoreboard: Stars, WPFC, Hammers continue to rise"
The Evergreen Premier League today announces the honorees for the previous week of play with the #HometownSoccer Players of the Week awards for June 17, 2018. Bellingham United’s Georg Cholewa and Oly Town FC’s JT Meyer (offense) and Oly Town FC’s Marcos Borja (defense) were voted by league head coaches and general managers as worthy of note for their standout contributionsContinue reading "#HometownSoccer Players of the Week: Cholewa, Meyer, Borja"
The Evergreen Premier League got in 5 matches over the June 16-17 weekend before a storm cell descended upon Harmony Sports Complex in Vancouver, dumping rain and delivering lightning bolts which postponed the match due to weather for the first time in t he league’s 5 seasons of play. Oly Town Artesians 4-0 Tri-Cities AllianceContinue reading "EPLWA Scoreboard: 5 matches played; lightning postpones a 6th"
The Evergreen Premier League today announces the honorees for the previous week of play with the #HometownSoccer Players of the Week awards for June 10, 2018. Tri-Cities Alliance forward Lenin Guzman (offense) and Yakima United Center Back Jaren Turner (defense) were voted by league head coaches and general managers as worthy of note for their standout contributions to their sides. Lenin GuzmanContinue reading "#HometownSoccer Players of the Week: Lenin Guzman, Jaren Turner"